THE IRISH ARM of retail giant Tesco sacked a worker after she admitted taking a bottle of wine valued at less than €20 out of a store and not paying for it. The retail worker was dismissed by Tesco Ireland on 29 March 2016 arising from an incident on 13 January 2016 when she was intercepted by a security officer after she left the store at the end of her shift. The woman had a bottle of wine in her bag she had not paid for, and maintained that she had forgotten to pay for the wine. The retail worker has successfully sued for unfair dismissal at the Labour Court after the court found that the decision to dismiss her “was tainted with procedural unfairness”. However, the Labour Court found that the woman contributed substantially to her own dismissal. The Labour Court stated that the woman contributing a significant degree to her dismissal has been taken into account in measuring the quantum of compensation that should be awarded and has ordered Tesco Ireland to pay her €4,000. The Labour Court ruling upholds an earlier ruling made by an Adjudication Officer at the Workplace Relations Commission (WRC) which Tesco Ireland had appealed. In her evidence, the retail worker said that at around 5.45pm on 13 January 2016 she left her work station to select some items of personal shopping including two bottles of wine as she was due to finish her shift at 6pm. The woman stated that in the course of that activity she encountered an acquaintance who had had a bereavement and whose mother was unwell. She said that she was upset by the encounter. The woman stated that she put one of the bottles of wine in her bag as she did not want to drop it. The security guard then intercepted her after she left the store and she was escorted to an office where a duty manager attended and suspended her until further notice. The retail worker stated that she had made a mistake concerning the bottle of wine as a result of the upset that she had experienced when she met an acquaintance. 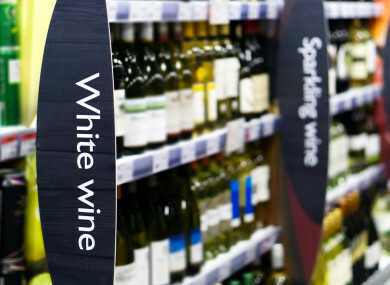 In its submission, Tesco stated that CCTV footage clearly showed the retail worker removing a bottle of wine from the store without paying and that the footage showed no evidence of upset on the part of the woman following her conversation with an acquaintance in the store. The Tesco-employed security guard told the Labour Court hearing that he took the decision not to call the Gardaí because the bottle concerned had a value of less than €20. Tesco dismissed the woman for breach of its Honesty policy and its Staff Purchase policy and because the bond of trust between employee and employer had broken down. In its findings, the Labour Court noted that at no stage of the investigative or disciplinary process was the woman supplied with a copy of Tesco’s Honesty or Staff Purchase policies which she was contended to have breached. Email “Tesco worker fired after removing bottle of wine worth less than €20 from store”. Feedback on “Tesco worker fired after removing bottle of wine worth less than €20 from store”.